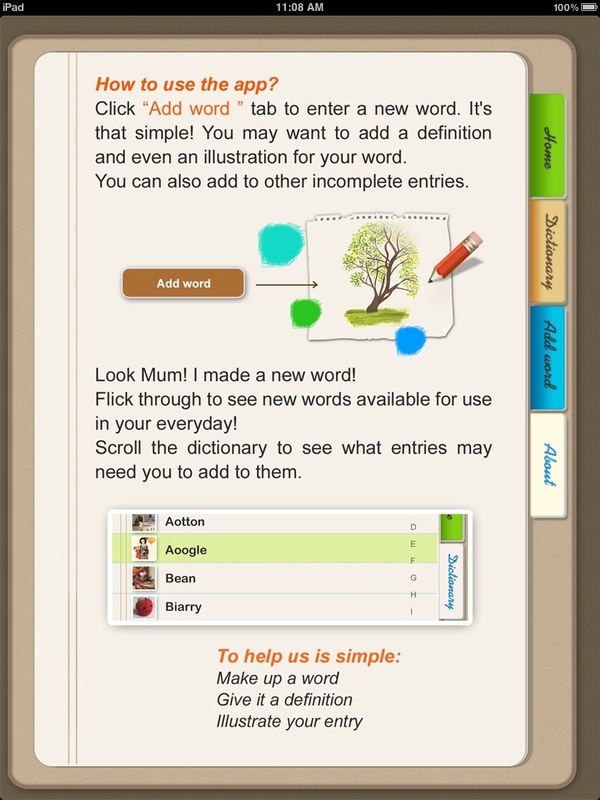 Addictionary is an Ipad app that was created in order to encourage a freedom of creative and expression that is allowed through playing with words. The idea of the artwork is to encourage appreciation for the semiotics and symbology of the language that we use everyday. Something that’s considered inflexible but we hoped on reconsideration; can be seen as extremely malleable due to the progression of language and nuances of words. Essential to the artwork is the engagement with the audience. Therefore a ‘desk’ was designed that would hold the Ipads, in order for visitors to appreciate the gravity of its quest. It caught the attention of visitors as it stood in all its blue and exposed wood glory. A modernist monument. The symbology of this object conjured up certain ideas about work, information, the document and authority. Within the framwork of the desk were two Ipads on which the participant was able to play Addictionary. The game Addictionary had three outcomes: firstly you could just browse through people's made up words, the illustrations that they created for them and the definitions. 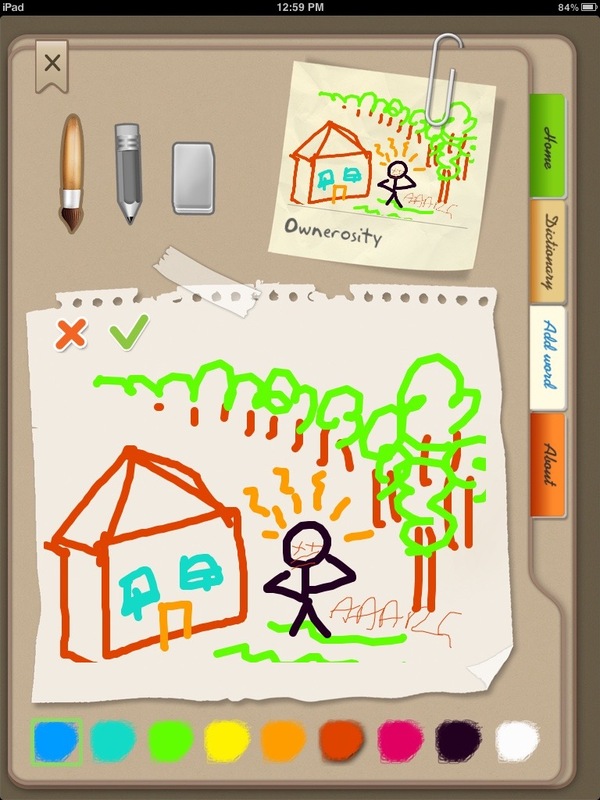 Secondly the player had the opportunity to create their own made up word, image and write a definition to these. Thirdly you could write a new definition for another players words so that the game can formulate its own Encyclopaedia of each participant’s outcomes. Elements of playfulness and creativity are balanced with an opportunity for the participant(s) to engage with their own understanding of language and, more specifically, the links between word>definition>representation. Visually and conceptually the artwork connected with the reception area and the library in Westspace, and the atmosphere created by these. These areas presented a distinct communicative framework for the gallery as a whole and we felt that the work tapped into this – providing participants with a ‘thinking’ environment as well as a sense of community.